RESIDENTS of some condominiums here are up in arms after discovering that the construction of their dream homes did not quite go according to plan. At Waterfront Waves in Bedok Reservoir, some units ended up a little smaller than what their buyers paid for. 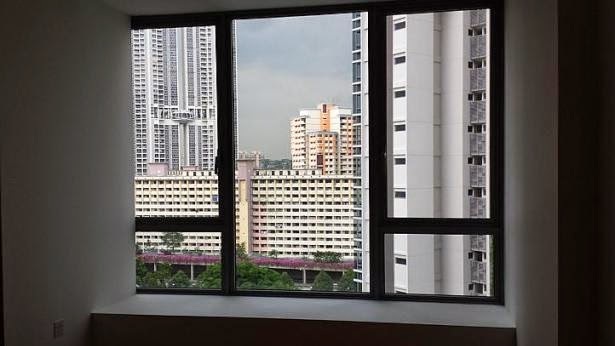 Over in Novena at Vista Residences, what was supposed to be a window turned out to be a fixed glass panel.Home owners at both projects told The Straits Times they were concerned the discrepancies might affect their units' value. Mr Richard Tan, 60, a retiree, said the area of his three-bedroom unit at Waterfront Waves was short by 2 sq m, or about 21.5 sq ft. This shortfall is worth slightly more than $14,000 at the price of $657 per sq ft that he paid for the unit in 2009. "With price appreciation, that area could be worth potentially $20,000," Mr Tan said. Another home owner, Mr Andy Wee, added: "We felt the developer was not upfront with us. They should have told us before we had to find out ourselves." The 43-year-old manager in the IT industry also has a three-bedder costing $646 psf. The 99-year leasehold Waterfront Waves was finished in late 2011, but home owners found out about the unit-size shortfall only when they got their Strata Certificates of Title early last year. Its developer is Frasers Centrepoint Homes. 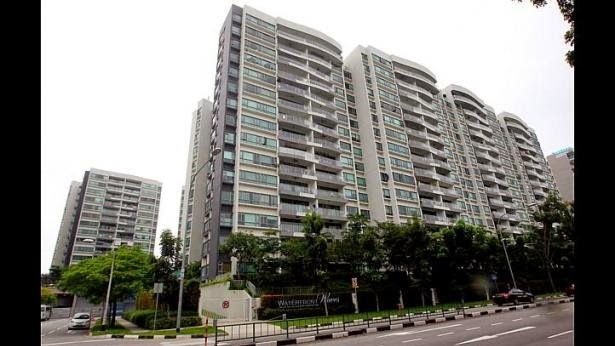 Chief executive Cheang Kok Kheong told a meeting with home owners in July last year that about 80 per cent of the 405 units had a size shortfall. Both Mr Tan's and Mr Wee's units were meant to have 141 sq m but turned out to have 139 sq m, a shortfall of about 1.4 per cent. That percentage is below the construction tolerance threshold of 3 per cent stated in the sale and purchase (S&P) agreement. Mr Cheang told The Straits Times the shortfall was the result of tweaks to the placement of balcony railings and bay windows. During construction, Frasers Centrepoint decided to set bay windows further back from the window ledge "to ensure water tightness", and move the railings further in from the balcony edge "for safety reasons", he said. Mr Loi Hwee Yong, president of the land surveyor division of the Singapore Institute of Surveyors and Valuers (SISV), said these were "valid reasons" given the inevitable difficulty of translating plans on paper to concrete reality. "There's not much savings involved so I don't think it was for the purpose of saving cost." An Urban Redevelopment Authority spokesman said the 3 per cent tolerance level for constructed unit sizes in the S&P agreement provides for "minor deviations" that may arise during construction due to unforeseen circumstances. If the shortfall is less, the developer and home owners are not entitled to compensation under the agreement. At the freehold Vista Residences in Jalan Datoh in Balestier, completed in October last year, residents have a different gripe. Ms Koh Lee Lee, 44, who runs her own recruitment agency, said that she bought a three-bedder expecting that each bedroom would have at least two windows, going by the unit layout plan she got. She was "shocked" to find that one supposed window was actually a fixed glass panel. "If this had been made known to me four years ago, I might not have bought it. It's like buying a substandard room." The Straits Times understands that 153 out of 280 units are missing a window. Mr Chng Kiong Huat, executive director of property services at Far East Organization, which developed the project, said yesterday "the architect had not intended for two 'openable' windows for the second bedroom". "An extra 'openable' window was inadvertently drawn in the as-built floor plan provided to Ms Koh. The error was subsequently corrected." The architect is RDC Architects. The Building and Construction Authority said yesterday the main rule for provision of windows was that total area of the openings has to be at least 5 per cent of the room's floor area, for ventilation. SISV's Mr Loi said that such post-completion discrepancies are rare, adding that it was highly unlikely that property developers here would want to cheat. PropNex Realty chief executive Mohamed Ismail said the main way for home buyers to avoid discrepancies was to buy completed resale units. "Then what you see is what you get." Buying a home is the biggest financial commitment for a home owner. However, sadly there are some unethical property developers who chose the exploit the rules, loopholes at the expense of the homeowners in order to earn more. This is especially true during the property downturn, orchestrated by our government. That is why there is a saying not to buy during the bad times or when in doubt, purchase a small unit or from the resale market. Why is this so? Buying the smallest unit of lets say 74 sqm allows for a maximum of 2.22 sqm deviation, as compared to 4.23 sqm deviation for a 141 sqm unit. When buying a resale, what you see is what you get, at least you know how big is the unit and the windows placement.